naturally resolve symptoms of a hormone imbalance, thyroid disorder, or an autoimmune disease? shed unwanted pounds and fit into your favorite little black dress? get back your libido, so you never miss that magical moment? stop your symptoms from stealing your memories? start feeling younger, healthier and more energetic? stop fearing your future because things have only been getting worse? sleep through the night and wake up feeling rested? enjoy the life you worked so hard to build? We have helped hundreds of women and men reclaim their lives. Our clients have overcome symptoms of hormone imbalances, such as hypothyroidism, Hashimoto’s, hyperthyroidism, Grave’s disease, Thyroid Eye Disease (TED), PCOS (polycystic ovarian syndrome), infertility, endometriosis, low testosterone, estrogen dominance, Chronic Fatigue Syndrome (CFS), IBS (irritable bowel syndrome) and much more. The most amazing moments that we celebrate with them are the times when they get to amaze themselves and their doctors with their progress. Our clients frequently hear: “Whatever you are doing is working!” from their doctors. When we work with our clients, we empower them to determine the root cause of their health challenges, so they can effectively address it. We give them the tools they need to create a conversation with their healthcare providers, so, when they start feeling better, their doctors can run their labs to confirm their progress. In many cases, this leads to doctors being open to tapering our clients off medications completely. You can see these kinds of success stories on the SUCCESS STORIES page. Our team has worked with clients from all over the world. 28 countries and counting, as of 2019. USA, Canada, Australia, New Zealand, England, Germany, Russian, Romania, Philippines, Ukraine, and Kyrgyzstan just to name a few. 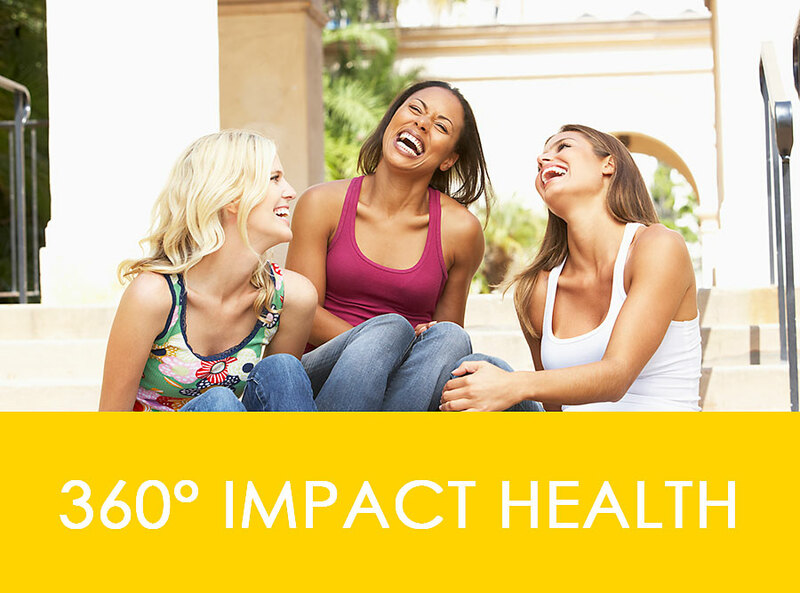 360° Impact Health – The exclusive health and life training is designed to help you get out of the survival mode, so you can resolve your symptoms and get back to enjoying and living the life you’ve worked so hard to build. As you get well, you will recapture the missed years and go back to enjoying life the way you did before you got sick. We equip you with practical knowledge to determine the ROOT CAUSE of what’s making you sick. This way, once your symptoms are resolved, you have the power to stay healthy for the rest of your life. We take a wholistic approach to health: diet, lifestyle, exercise, relationships, stress management, sleep and even your spiritual life. Elena designed this program understanding that there is not a ONE thing that gets everyone better. Instead of using a one-size-fits-all approach, she designed her method so each person’s lifestyle, health and even personality are considered. This is the reason 360 Impact Health has been successfully used by people from 28 countries. We use various tools to help you reprogram your entire being for better health: diet, neuroscience, epigenetics, lifestyle adjustments, helping you reconnect to your core and others, as needed. Without this approach, all attempts at health are temporary and, often, unattainable. A 10-week health education course to accompany your transition to the lifestyle that covers a wide range of topics including diet, health, nutrition, hormones, mindset, neuroscience, recovery from deficiencies, etc. If you would like to see if 360 Impact Health is for you, please watch Elena’s training on hormone/thyroid health first, and then schedule a FREE health clarity call to speak to one of our coaches to see if our approach is a fit for you. 100% success rate is our goal, so we are very selective of who we take on as our clients. We have a 3-step process to determine if you and we are a good fit, to meet YOUR health goals. Health Strategy Call with one of our trained health strategists to walk you through the process and answer any of your questions. If you happen to be one of the people we invite to work with Elena, we will get you started and work toward helping you achieve similar amazing outcomes as the rest of our clients. Simply put…because we get it! Our approach was birthed out of Elena’s personal struggle. We don’t only have the head knowledge – we have first-hand experience that comes with having had a hormone imbalance. Over a decade ago Elena was diagnosed with hypothyroidism, infertility and a pituitary adenoma (tumor). With little chances of healing and natural conception, she was instructed to be on medication for the rest of her life. However, with no improvement from medications, supplements and multiple therapies, her symptoms only got worse. Having spent years in research, education, and applying what she had discovered, she put together a protocol that allowed her to reverse all of her diagnoses. She is hypothyroidism and pituitary tumor free, and has a healthy, beautiful 7-year old. Over the years she added to her knowledge base with ongoing education and application of her discoveries. Now her method has been used by thousands, yielding consistent outcomes. We maintain a 90-95% success rate with our clients. So, when it comes to understanding what you are going through, we haven’t only read about it…we get it! And we know the possibilities that a wholistic approach can offer YOU. You’ve probably already worked with a lot of health practitioners in hopes of getting better. You might have tried programs, diets, supplements, medications, therapies, and posses a noteworthy library. You might have even “googled” your way through the world wide web in hopes of finding a solution that would work for you, only to end up more confused. Information is certainly not something you are lacking. TRANSFORMATION is. Elena has created her program to be the bridge you’ve been missing to cross from information, to TRANSFORMATION. She believes that knowledge alone is NOT enough to create a healthy, symptom-free body. Only through application of correct principles can you achieve this goal. The role of a health coach is to empower you to live your best and healthiest life by empowering you to take control of your health. The role of a life coach is to help you turn your weaknesses into strength, to reconnect you to your true-self, to help you create a loving relationship with yourself and people in your life, so that you can prosper – spirit, soul and body. Elena is both – a health and a life coach. She leaves no stones unturned. She believe in a 360° approach is necessary to turn your health around. While some people get sick because of a poor diet, others might have unresolved emotional trauma, or stressful lives that are destroying their health. We examine all parts of your life and help you tune up what’s not working well, while empowering you to be fully in charge of your life and your health. We are the ultimate advocates for you. We serve as a bridge between you and your healthcare providers to work on your behalf, while giving you back your power. Here is what Elena and our team posses to help you. A health coach helps bridge the gap between basic information and knowledge-based implementation. We have gained expertise in nutritional, psychological and physiological sciences. We understand how to use screening and assessment measures, and how to design and implement programs that yield outcomes. We thoroughly understand our legal, professional and ethical responsibilities and are aware of other professionals to whom to refer for situations outside of our scope of practice. While the information on health and wellness abounds in books, podcasts, YouTube videos, etc., it does not always translate to a successful implementation of principles taught in them. The information is left up to the listener to be implemented. This often leads to…nothing, and a whole lot of confusion. Most people hear a great idea, but do not know how to make it work for THEIR specific situation. So no action is taken. Or, if action is taken without immediate results, you are more likely to give up on something that might be great for you. Having a coach in your corner, who understands YOUR specific situation, lifestyle, and challenges, and knows how to help you walk through limiting beliefs or obstacles is the difference between INFORMATION and TRANSFORMATION. As coaches, we help our clients discover the larger reason for change: to circumvent disease, to have more energy, to reduce the effects of stress, to uncover and address the ROOT CAUSE of their condition, to enjoy leisure activities, or to overcome a physical setback or condition. When clients are faced with challenges, it is common to lose sight of the “why” of health-behavior change. At times like these, we help our clients remember the big picture intentions and help them navigate through obstacles. We value our clients and celebrate your results. Unlike a friend or family member, whose interests may overlap with yours, often causing you to stop making progress, we offer nonjudgmental support and encouragement and allows YOU to be experts in your own life. We use proven strategies for effective communication to build rapport, listen actively, ask powerful questions and promote self-reliance. As it goes in the old saying: “Give a man a fish, and you feed him for a day. Teach a man to fish, and you feed him for a lifetime.” Our goal is to give you tools that will last you a lifetime, so you are not chained to your condition or depend on any one person for the rest of your life to keep you well. We want you living your life to the fullest as fast as possible. From this place of trust and connection, you are free to learn, explore, experiment and gain insight in your quest for greater health and well-being. No two people are alike. No two situations are alike. Under Elena’s guidance, we help our clients discern what is most important to them. We respect each individual’s unique history, personality and perspective and help you choose options to optimize your success. We work with a range of client goals in mind. We help you clarify intentions and generate step-by-step action strategies. Once goals and action plans are in place, we serve as a powerful accountability partner to support YOUR desired outcomes. We are health promoters and educators, and an active partner in helping you achieve your hormone health naturally. While we are not a substitute for professional care, we act as a bridge and a connector between you and your wellness team. We are here to serve you as your advocate in many challenging and confusing situations.